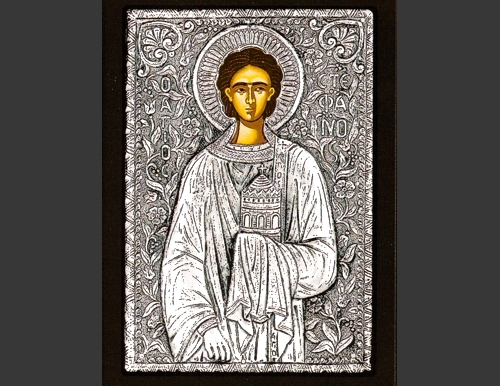 An exquisite silver Greek Orthodox icon of the St. Stephen. 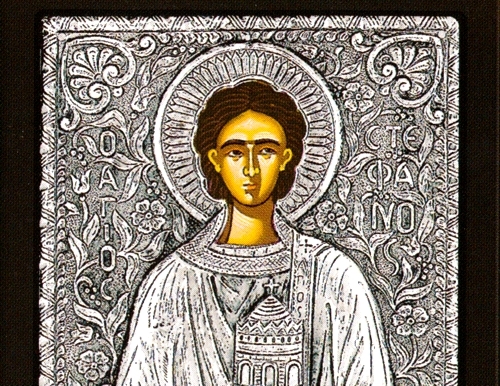 Apostle Stephen the Protomartyr was an early Christian convert from among the Hellenistic Jews, one of the original seven deacons ordained by the Apostles, and the first martyr of the Orthodox Church. The Church remembers the martyrdom of St. Stephen on December 27.